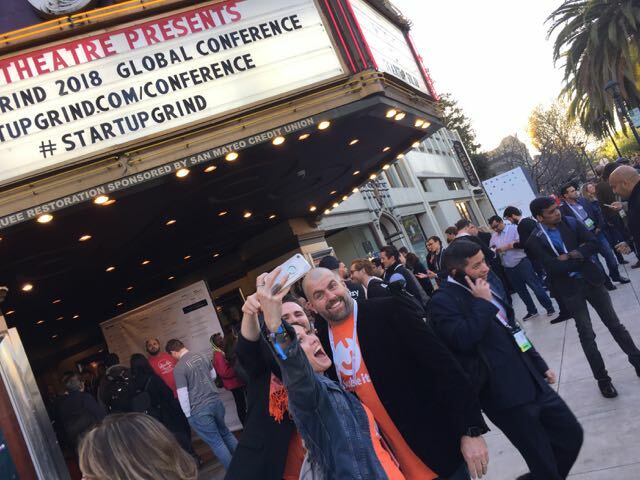 The 2018 Startup Grind Global Conference turns Redwood City, California, into a pop-up hub in the bay area’s tech universe. The deal-making flits between a corner Starbucks and a nearby Philz Coffee in Redwood City, California, a pop-up hub in the bay area’s tech universe during the two-day run of the 2018 Startup Grind Global Conference. Packlane, an online printing company that delivers affordable packaging to brands of all sizes, is winner of the Startup Grind startup competition and front and center amongst fellow, spotlight startups on the Fox Theater stage for the conference sendoff. Other startups include BookBandit, an online book exchange for students, Brandzy, an innovative branding platform, and Supportbench Services, a customizable, customer service platform, and Juble it!, a digital media and fintech company bringing crowdfunding tools to creators. Juble it! is also the startup that brought me to Startup Grind as a chief storyteller to help with their product launch and content marketing. There’s plenty of pre-conference prep, as well as hard, ‘burn rate’ decisions by startup founders from Farmkart CEO Atul Patider to Cofounder Britney Schielack of The PlatForum on spending the money and time to exhibit their products and services at Startup Grind. All of our conversations lead to an inevitable conference question for startup founders: Are the resources spent getting in and getting to Startup Grind worth it? For the 130 select companies chosen to exhibit at Startup Grind, what’s immediately clear are the quality of the feedback and responses thanks to the thought leadership and influence of the conference attendees. If you’re looking for valuable feedback to your tech products and services, Startup Grind delivers a community like no other. What’s also evident at Startup Grind is the spirit of generosity and support spread throughout the two-day event. Founders from other conference exhibitors like Hive Refrigeration and CoFit take time away from marketing their companies to ask great questions about Juble it! products and services and discuss affiliate partnerships. Tech ecosystems are often competitive to the point of being cutthroat. Sure, there’s hustle at Startup Grind and competition to land some coveted, investor meets at Starbucks or elsewhere. Yet, there’s also a strong spirit of community and support for each company in attendance. Basically, if you take the time to connect with attendees and share your stories, Startup Grind transforms into a powerful, open, focus group providing valuable product feedback. Juble it! is also the startup that brought me to Startup Grind as a chief storyteller to help with their product launch and content marketing. See You in Redwood City! For Startup Grind‘s two brainstorming days, life is turned upside-down in Redwood City, a town on Highway 101 with as many working class pockets as tech-leaning neighborhoods. It’s a vibrant backdrop for startup founders looking to make an impression in the world’s leading tech startup ecosystem. Still, the coffee bar dealmaking, along with the VC stage panels, provide a grounded glimpse at the stark, business realities facing tech startup founders coming to the bay area to promote their companies. You have to rise above local startups out of Stanford University and University of California, Berkeley, who can network 24/7. You also have to make every offline, onsite contact matter. That way, you can successfully reconnect and begin customer traction after your startup team returns home. On the creative side, if you come to Redwood City with curiosity and a spirit for learning, the discoveries and thought leadership from conference speakers will continue to inspire long after you return to your hometown startup ecosystems. For many startup founders, chances are you did not leave Redwood City with a VC’s term sheet. However, hopefully, you did leave with valuable feedback, inspiration and encouragement to take your company to market entry, market fit, customer traction and beyond. Reflect on your college classes and you’ll remember classic business strategies encouraging managers to look at problems first. Still, Alex Chriss, SVP + Chief Product Officer, Intuit, takes his panel far beyond classroom-like, chicken and egg exercises. Using Intuit as a ‘legacy tech’ case study, Chriss explains how focusing on customer problems continues to increase the likelihood of developing products and services Intuit customers want and need tomorrow. For all the small companies in attendance, Chriss’ ‘Big Co’ examples are inspiring and relevant. Company founders frequently address scale challenges in a strict, spreadsheet manner. How much do I invest in sales and marketing in order to reach additional markets for my software? What are the additional supply chain costs for my tech product? Do I have sufficient data and research to make quality decisions regarding growth? These are all top-down, leadership questions. Speaking about her company’s expansion into Britain, Adi Tatarko, Co-founder and CEO, Houzz, emphasizes a bottom-up, civic-oriented approach. Listening to Tatarko, you realize the importance of customizing your product and service via 24/7 connectivity with new and potential customers. 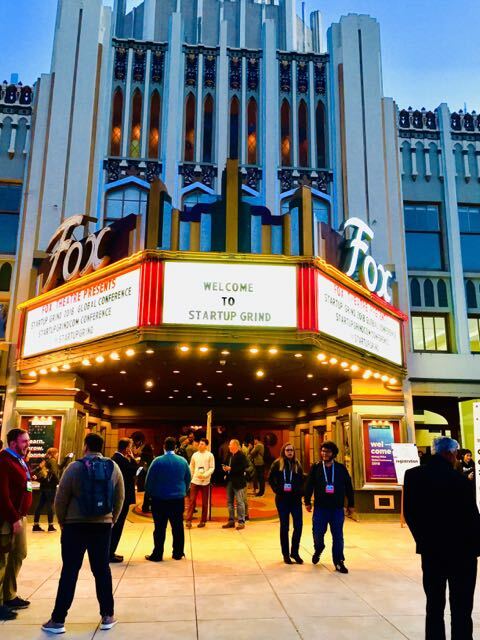 For the startup founders representing the 130 select companies chosen to exhibit at the Startup Grind, it’s safe to assume they understand the value propositions driving their products and services. However, Gillian Tans, CEO, Booking.com, dives deeper into a company’s value prop as well as their spirit and tone. To better achieve your market benchmarks, Tans tells attendees to focus on your company’s intent and make your aim clear and understandable to customers. It’s intent that ultimately drives market fit as well as customer traction. 4. ‘No founder ever presents a crappy value prop…so try to discern the holes in your story because VCs are paid to be cynical and probe for weaknesses.’ – Jeff Jordan, Partner, Andreessen Horowitz. Jeff Jordan, Partner, Andreessen Horowitz, complements Chriss’ focus on customer problems with a call to action for startup founders to proactively identify the holes in their startup’s stories. By readily revealing company challenges and weakness, they’ll end up sharing a grounded pitch to potential investors instead of Cinderella stories. A balanced story that includes both company strengths and challenges will resonate far greater than any ‘we’re all going to get rich’ pitch. Finally, delivering the type of Blue Sky boost all startup founders need, Dr. Andrew Ng, Founder and CEO, deeplearning.ai, outlines why AI will be the next electricity and driver of systems change. Ng also declares today’s frontier tech startups will become tomorrow’s corporate giants. Ng’s words are likely the most powerful calls to action Startup Grind company founders will hear this year. At his core, Steve Ramos is a content strategist who helps businesses grow via his ideas and writing. He’s also a published author and his business, culture, science and tech stories have appeared in ‘QZ/Atlantic Media,”Fast Company’ and ‘NY Mag.’ In fact, it was his ‘Fast Company’ story on filmmaker Joss Whedon, ‘Why You Need a Creative Shift Instead of a Vacation,’ that inspired his creative shift into branding, interactive marketing and strategy.